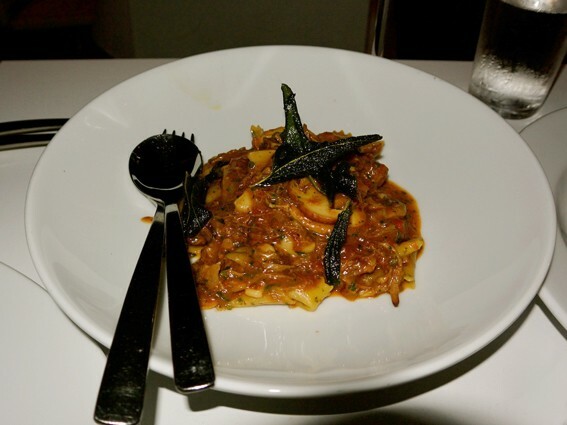 Review - Bronte Cucina - Does My Bomb Look Big In This? A spectacular sunset over Bronte Beach with a full pink moon luring waiters outside to snap pictures on their phones – the only thing pulling me back to reality is the occasional 378 bus making its last stop out front. This Italian restaurant, owned by Modern Australian neighbour Swell, is serving up works of art on white tablecloth backdrops. 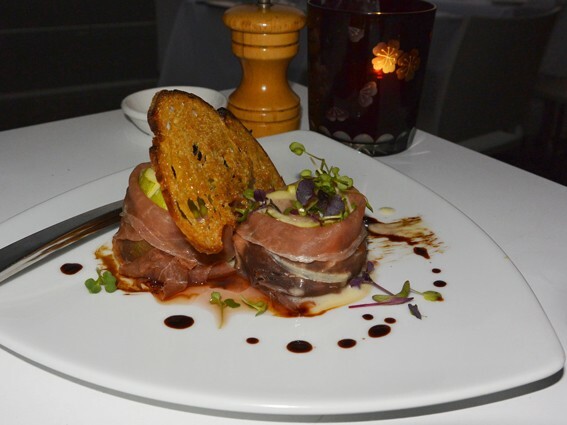 ...while Fresh Figs with Prosciutto ($18) are bundles of salty-sweet joy on a gorgonzola reduction. “I didn’t know I loved figs,” said my dining companion; and I didn’t realise I loved Italian food quite so much! The Duck Ragout ($17/$26) is the standout, with ribbons of pappardelle and porcini mushrooms – delicious – and isn’t bogged down by a rich sauce. 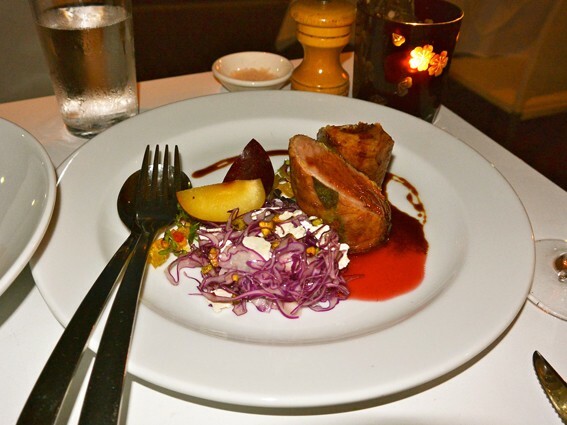 The Pork Fillet ($34) is also surprisingly light, cooked pink (like the sky) and served with what tastes like a toffee apple sauce and crisp, summery fruits. 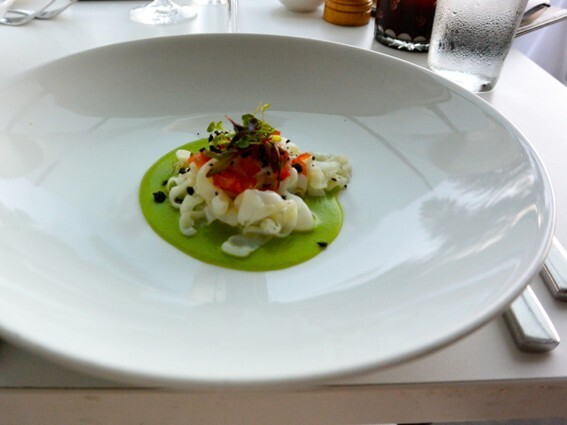 It’s a good thing dishes are light and served in small portions because dessert is epic. 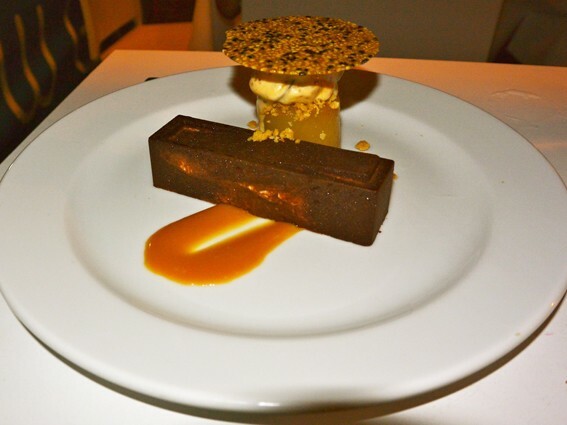 We tried the special, a Chocolate Bounty ($15) with compressed pear and fig and honeycomb semifreddo. Injecting new life into an old tropical chocolate bar, it’s a fitting ending to perfect seaside evening.